It has been described as an apocalypse, a disaster and the ruination of the 2018 World Cup finals; hipsters real and faux have rushed to bemoan it. Seemingly, then, it is just me who is not remotely bothered that Italy have failed to qualify for Russia. It was, by way of considerable coincidence, on this very day 40 years ago that my dislike of Italian football started. Having lost in Rome the previous year, England needed to beat Italy by a significant margin to make it to Argentina. In those days it was extremely rare for football matches to be televised live and with this being one such game I was in a hurry to get home after playing with my mates. Too much of a hurry as it turned out. I had noticed that a recently installed pelican crossing at the bottom of our road featured a couple of seconds when the lights for both motorists and pedestrians were red, so I decided it would be fine to cross. A driver also thought it would be fine to carry on down the road and we collided. So, having hoped to watch the match live, I discovered the result when it was the first thing I asked my parents once I had regained consciousness in hospital. England won 2-0 but could not overcome the goal-difference deficit with the Italians and therefore missed out on the finals for the second successive time, which bothered me more than the injuries I received which earned me a three-day stay in the children’s ward. Even then I was aware of Italy’s reputation as a mean, nasty side who used diving, dirty tackles, defensiveness and other dastardly tactics to get the results they desired. And, while there has always been a general air of reverence towards Italian football in England, I have never embraced it. Yes, they produced two stunning performances to beat Brazil and West Germany when winning the 1982 World Cup and there have been flashes of magic since but, at both club and international level, I cannot say watching Italian football has particularly enhanced my love of the game, and their victory in the 2006 final was as ugly as they come. The way people have been reacting to their failure to overcome Sweden on Monday, thus meaning they will miss the finals for the first time since 1958, suggests the finest national team in the world have suddenly been eliminated. This is not the case. Having been knocked out of the 2014 World Cup in the group phase, like England, they exited the 2016 European Championships at the quarter-final stage before finding themselves unluckily tasked with qualifying from the same group as Spain. A draw and a defeat against their main rivals, plus a woeful draw against Macedonia, meant they had to settle for a playoff spot and in three hours against a limited but determined Sweden team they failed to find the net and paid the price. Their attempts to break down the Scandinavians were increasingly ineffective and illustrated why they will not be missed next summer. There was no guile, no pace about their approach play and no evidence of an effective change to a plan that patently wasn’t working. If ever there was an opportunity for a set of rival fans to sing: “It’s just like watching England” then this was it. I like the Italian anthem but I can play that on YouTube whenever I like so that’s not a problem. And I like the Azzurri blue shirts but not so much that I care that they won’t be on show in Russia. So really the only reason I will miss Italy is Gigi Buffon, their magnificent goalie, who behaved so magnificently in defeat on Monday and who features right up there at the top of the list of people I wish I could be. The legendary keeper made his debut for Parma 22 years ago in a team containing the likes of Cannavaro, Zola, Stoichkov and Dino Baggio. The opposition were a Milan side boasting Maldini, Baresi, Desailly, Boban, Weah and Roberto Baggio. 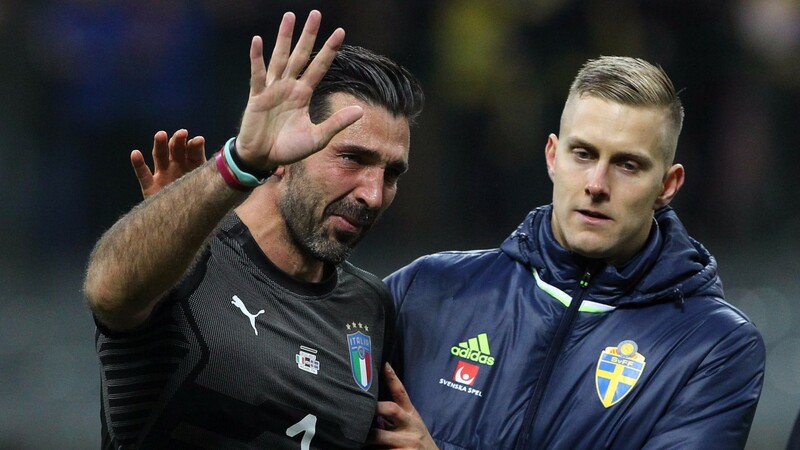 Monday marked his 175th and final appearance for Italy and such a wonderful career deserved a better ending, but for that Buffon can blame his teammates – not that he would because he is not that kind of guy. All in all, though, while everyone else is mourning the absence of the Italians, I can safely say my enjoyment of the 2018 World Cup has not been diminished a jot by the fact that they will not be there. As things stand there is no horse I would rather win at the three-day Cheltenham meeting which begins tomorrow than Cloudy Dream in the Shloer Chase on Sunday. It was sad to read of a mix-up that led to the horse being entered for the wrong race there on Saturday, and victory in the hastily-concocted Plan B would be ample consolation for trainer Malcolm Jefferson and his team, as well as owner Trevor Hemmings. There are those who have limited sympathy for Jefferson’s daughter and assistant, who mistook the BetVictor.com Handicap Chase for intended target the BetVictor Gold Cup Handicap Chase, which takes place 35 minutes after the race for which the gelding was accidentally entered. But I spoke to two people since the incident occurred who admitted they too had been foxed by the similarity in the race titles, albeit that they were simply studying form and checking prices rather than the more important job of making entries. Clearly Cloudy Dream should have been put in the correct race but the two contests have such similar names that one can understand completely how such an error came about. Rather than castigate anyone for the mistake, perhaps we should acknowledge just how professional and thorough stable staff are when making entries. It is not completely unheard of for people to mess things up, however. An extremely successful jumps trainer once had to make excuses for not being represented on a high-profile Saturday card because the yard had simply forgotten to enter their intended runners. What are Everton playing at? Why have they not used the international break to employ the only logical choice to replace Ronald Koeman as manager? 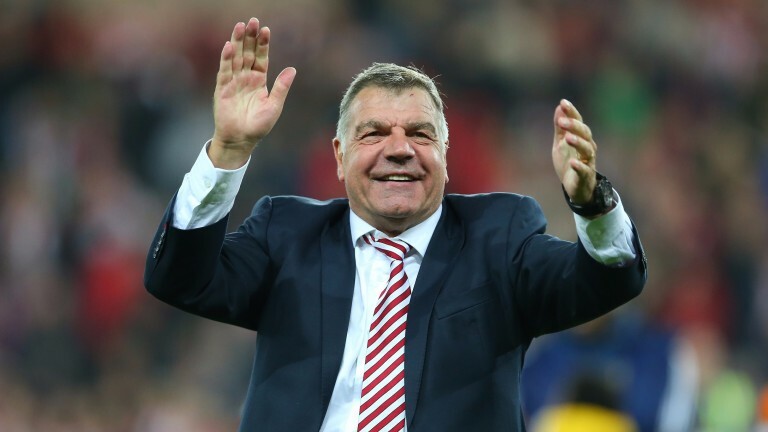 Sam Allardyce’s odds to succeed the Dutchman range at the time of writing from 9-2 to 12-1 which suggests the Everton board, having apparently shown a preference for the obvious man for the job, have not done much of a job convincing Allardyce they want him. Those are the noises coming from the man himself, who says the chance to take over at Goodison “didn’t materialise as I thought it would”. While one can never be sure precisely what is said behind closed doors, it seems bizarre that if Allardyce was keen on the vacancy the club did not move swiftly and decisively to snap him up. It is bewildering that he has not been made an offer by this season’s biggest underachieving team, who are desperate for the knowhow, methods and experience he is guaranteed to provide. Whoever they do recruit I would be surprised if the club’s current relegation odds, currently between 6-1 and 12-1 depending on who you get on with, do not turn out to be skinny, but that’s not to say they cannot go down. And 21st-century history has shown that if you need to avoid being relegated from the Premier League it helps to be managed by Allardyce or Tony Pulis. Allardyce would sort out an Everton defence that looks slow and exposed, and would create a structure further upfield that would increase chances and thus goals. Everton play Palace, Southampton, West Ham and Huddersfield in their next four matches. If they do not find a way to stop the rot the memories of their plucky performance at the Etihad, when they became the only top-flight team this season to avoid defeat to Man City in a league match, will seem extremely remote.